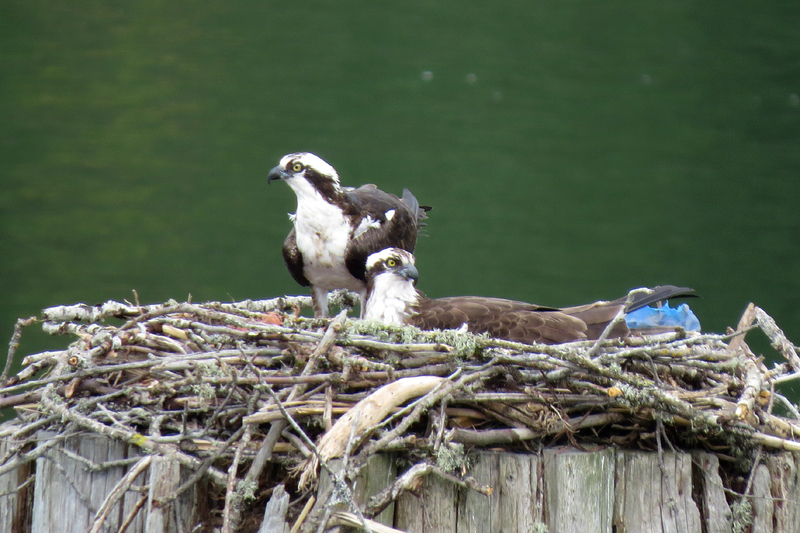 This pair of Ospreys is nesting on a piling along Sauvie Island Road. The elevation of the road provides an eye-level view of the nest. Note the piece of blue plastic. The female is sitting on eggs, so she remained pretty still the whole time I was there, aside from from making a few adjustments. 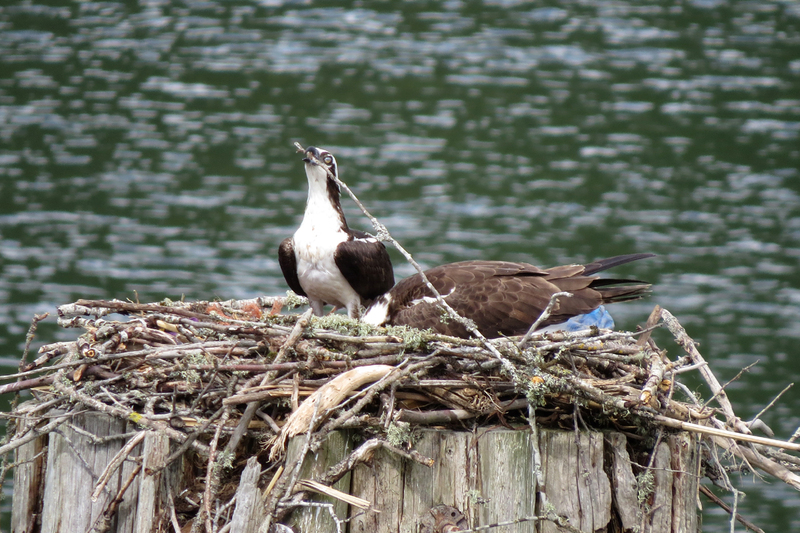 Meanwhile, the male was bringing additional sticks and continued to build the nest around her. 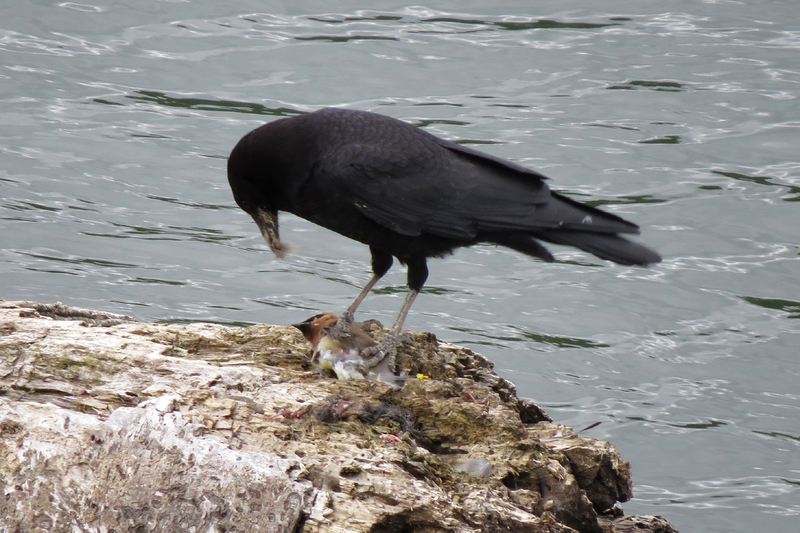 While I was watching the Ospreys, this young American Crow flew in carrying a Cedar Waxwing, landed on a log, and proceeded to eat. I don’t know if the crow actually caught the waxwing or happened to find a dead one, but the crow didn’t hesitate to chow down and had the waxwing consumed in about one minute. 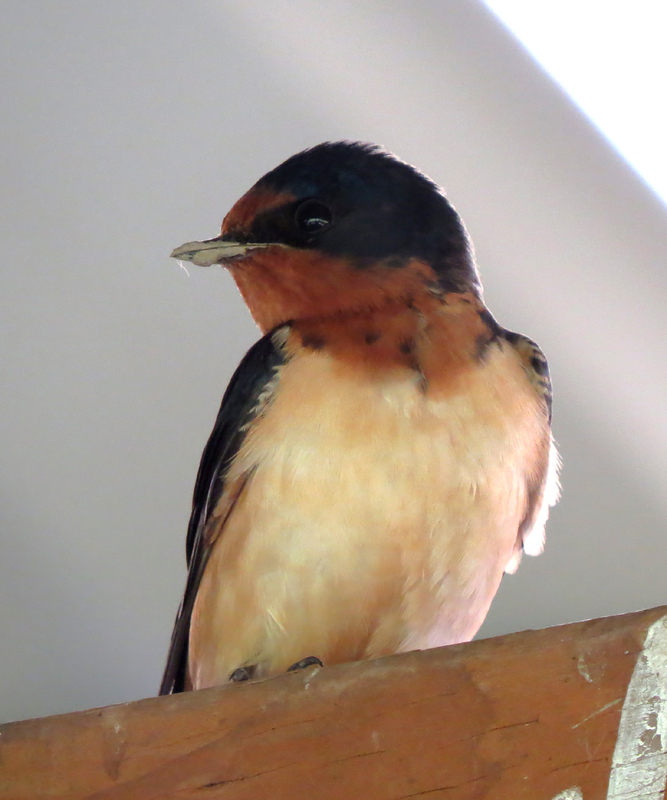 I am aging this bird as a youngster by the pale color on the bill and the scaly pattern on the back. 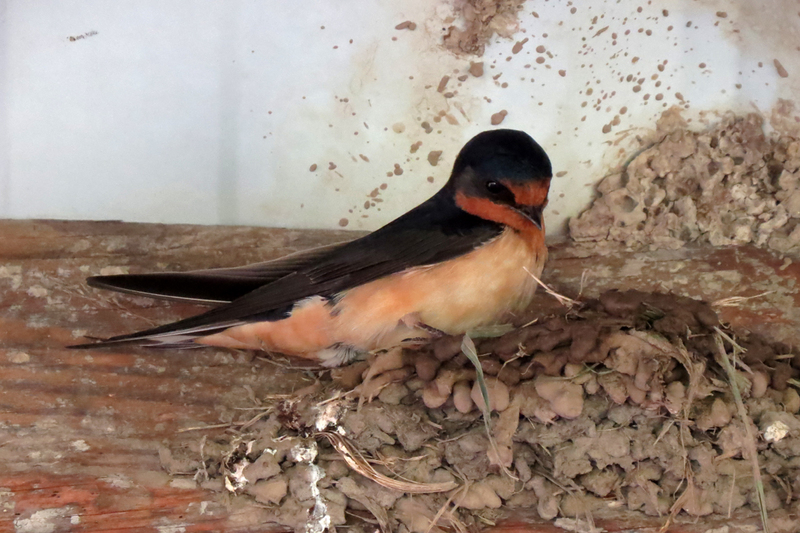 On a less gruesome note, a pair of Barn Swallows was building a nest in the observation platform on Reeder Road. This is a view from the end of Rentenaar Road, lots of flowers and Great Egrets. 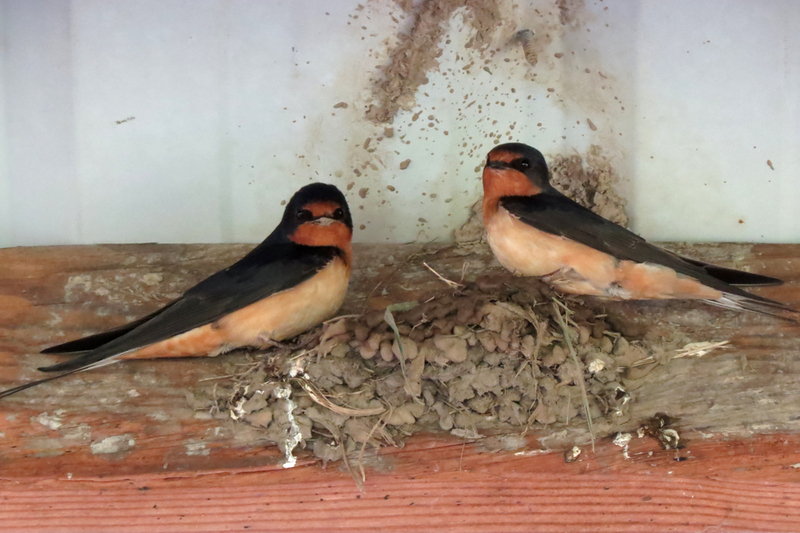 This entry was posted in behavior, nesting and tagged American Crow, Barn Swallow, Cedar Waxwing, Great Egret, Osprey. Bookmark the permalink.